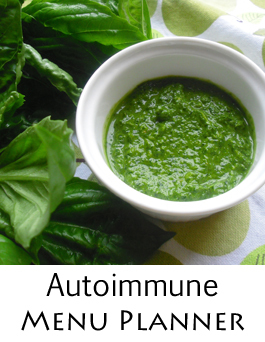 Will your autoimmune diet recipes contain many that will give me the protein intake I need for diabetes II? Have been GF/DF 8 yrs but used nuts/seeds for snacks. The protein on these menus will come primarily from meat and the snacks that I have are either veggie, fruit or coconut based as well as some meat based like beef jerky. like many of the folks I’ve a number of health issues going on besides Hashimotos with a tsh of 58.04 that is contributing to my memory decline, high cholesterol and pacemaker with Afib and I take warfarin. Warfarin is a dance because I need to keep my vitamin K fairly low which is dicey due to osteoporosi. Consistency is the key so every night I have 1 1/2 cups of head lettuce (lowest leafy greens) with grated carrot/radishes/green olives.. Which I’ve been doing for one year.. It’s getting old but I have to be consistent. On the AIP program I ate tons of greens at all meals. Now I’m lost as I had to limit the greens and eating has become a problem for me as most diets have lots of green veggies in them which is not good for me. Do most of your recipes use greens and veggies high in vitamin k? Trying to figure out meal plans for breakfast is really tough.. Don’t know what to eat.. 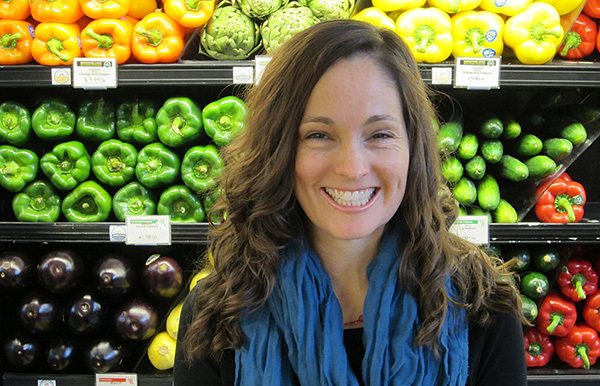 I am interested in your program but don’t want to spend the money if most of your menus are high in vitamin K.. I don’t mean to be rude but I’ve spent lots of money trying to find my way with frustrated success. 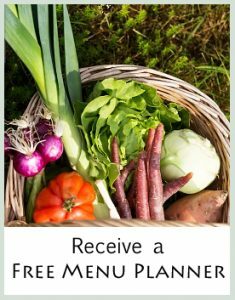 Please forward the free 1 week Autoimmune Menu Planner. Is it possible to send it free of goitrogens? I am also sensitive to apples bananas avocados cauliflower zuchini and broccoli. Will this make these menus difficult to use? I don’t use bananas in these menus. As far as the other foods, I do use apples quite a bit in the desserts but you could use pears to substitute very easily. The other foods could either be deleted from the menu or substituted with another veggie depending upon what the recipe is. For example, if the recipe is Shepherd’s Pie with Mashed Cauliflower, you could used mashed butternut squash instead. Hi! I am looking for a leaky gut repair diet menu. Do you have menu’s for this, in particular? Are there vegan adaptations? And suggestions? No I’m sorry I don’t have vegan adaptations for these menus and recipes because most protein vegan foods are not allowed on this diet.